1) Principal Jeff Szymaniak and I had the pleasure of attending the annual Patriot League Scholar Athlete Dinner last Tuesday where Gianna Cacciatore and Thomas Sapienza were honored for the athletic and academic excellence. Both Gianna and Thomas have had remarkable athletic careers while at the same time keeping their focus on their top priority of academics. Gianna, who is our valedictorian, will be attending Harvard in the fall while Thomas will be heading into Mass College of Pharmacy. 2) Our boys and girls track teams have had a great spring. Both teams competed in the prestigious Andover Invitational and made WH proud. Nicole Galewski was the meet champion in the long jump while Samantha Richner was the champ at High Jump. Rachael Baker was 4th in the 400 hurdles and Megan Brain was 4th in Javelin. On the boys side, Nathan Stephansky took 3rd in the 2 mile with an impressive time of 10:01, Blake Hickey earned 3rd in the high jump and Paul Duffey was 5th in the 400 meter. Jake Roumanos had a personal best in the shot put to qualify for states. Both the boys and girls will compete in the Patriot League Meet on Tuesday in Pembroke. 3) The girls lacrosse team is making some noise in the Patriot League posting a 9-3-1 record to this point in the season. The girls qualified for the state tournament with a 16-9 win over Silver Lake on Friday. Jackie Sullivan had a huge game with 7 goals and 5 assists. Senior goalie Meghan Mahoney is one of the best goalies on the south shore. She has been so consistent for the Panthers and is a huge reason why the team is going to the tournament again. She had 16 huge saves on Friday. Aside from her stellar performance on the field, her leadership has been very impressive. 4) The cinderella team of the spring may be our girls tennis team. In the entire history of Whitman-Hanson they have never made the state tournament and while it won't be easy to end that streak, the girls are still alive in that quest. Despite dealing with some key injuries, the girls beat Silver Lake Friday 4-1 to improve to 5-8 on the season. The girls need to win 4 of their last 5 to qualify. Our softball team also still has a shot at the post season as they go into this week with a record of 6-8. 5) A big thank you to everyone who donated at our toll booth fundraiser in Whitman last Saturday. Our volunteers were amazing in giving up their time and energy to help support our Athletic department. Michelle Gronlund and Kathy Kelleher were instrumental in organizing the event. Teresa Fettig, Staci Bowden, Debi Holland, Jeneane Johnston, Linda Donovan, Kim Nichols, Lynn Maynard, Bill Watson, Paula Mahoney, Denise Watson, Jodi Paola, Maureen Venuti, Pat Devlin, Cailyn Manning and Mary Coulimore all gave up their time to help us. 6) I would also like to extend my thanks to Laura Kemmett and the Hanson Community Preservation Committee for their support of our outdoor recreation area which we hope will benefit our entire community. Hanson town meeting voted to support the CPC's recommendation of a $50,000 grant for our project. CPC funds can only be spent on specific types of projects and there is a long application process and procedure which we completed. These funds could not be used for town operating expenses like school, police or fire budgets. 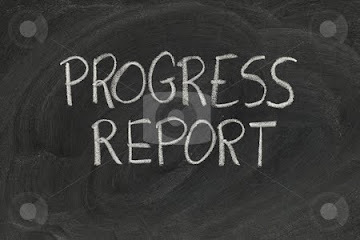 7) Speaking of the school budget, the athletic department continues to feel the crunch of our budget crisis. The drastic cuts which have hit our district over the last 8 years have all areas of our schools struggling to maintain our programs. We hold out hope that at some point we will be able to restore funding and positions but for now, we are just hoping to limit the cuts. In the athletic department, the school budget no longer pays for transportation, officials, uniforms, professional development, our athletic trainer or equipment. We fund all of these essential items through user fees and fundraising. We are doing our best to hold down the fees while preserving programs, but it gets more difficult each year. 8) The Hanson fire department has been a great partner in our quest to make WH athletics as safe as possible for our students. I recently spoke with Chief Jerry Thompson about my desire to have our students protected with an AED when they go to road games. The fire department recently obtained a grant which made it possible for Chief Thompson to lend our athletic department two AEDs which we now have our teams take on the road. We already have 4 AEDs available to our teams at home and every coach is trained in its operation as well as CPR. An AED is an Automated External Defibrillator which is a portable life saving device that automatically diagnoses the potentially life threatening cardiac arrhythmia and is able to treat them through defibrillation. We take the safety of our athletes very seriously. Just last week, our trainer Ali Foley and I, held emergency response drills with our teams to make sure everyone knows what to do in the event of an emergency. Our coaches practice these drills with their players each season. 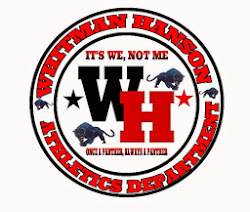 For the most up to date information on Whitman-Hanson athletics follow us on twitter @ WHathetics or check out our blog at www.whathletics.com .